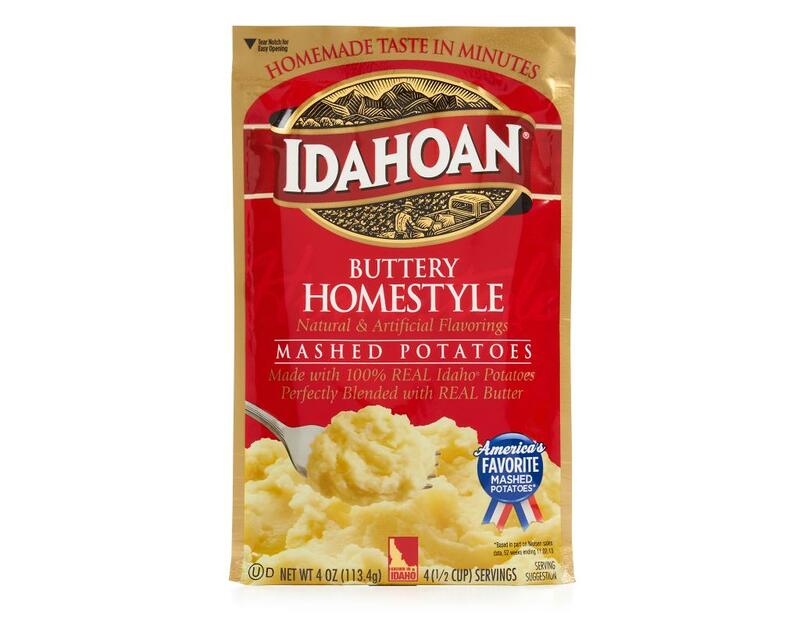 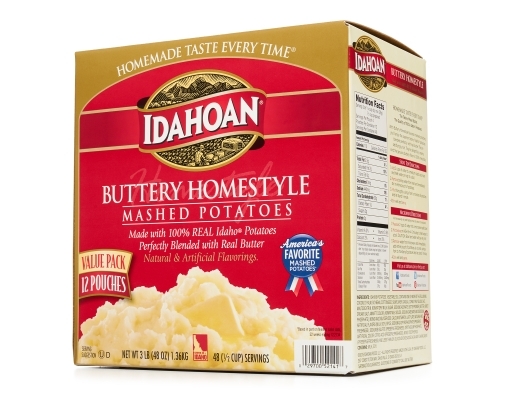 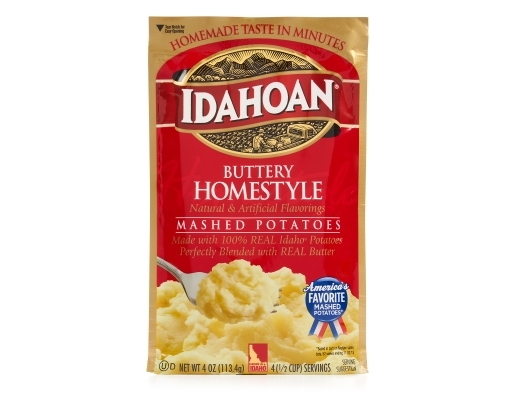 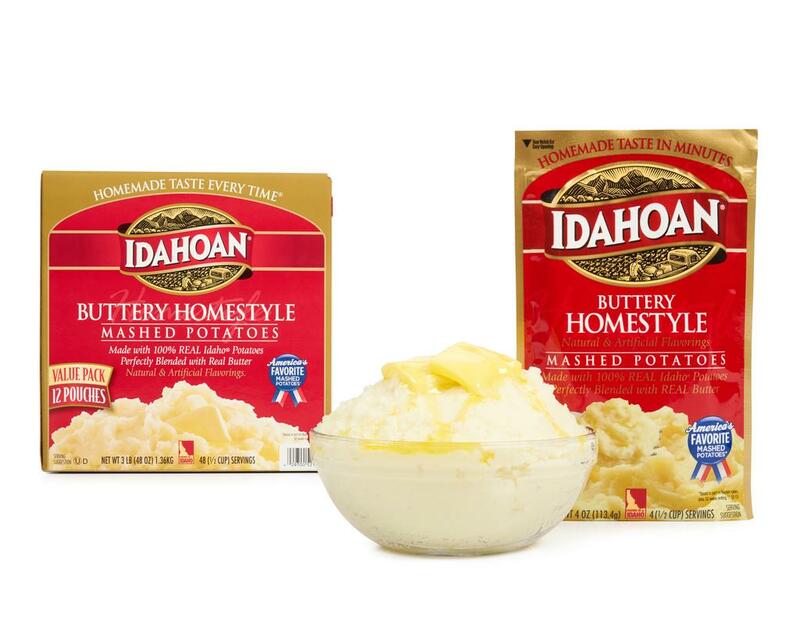 Idahoan Buttery Homestyle Flavored Mashed Potatoes are always made with 100-Percent Real Idaho potatoes and perfectly blended with rich real butter for a classic favorite. 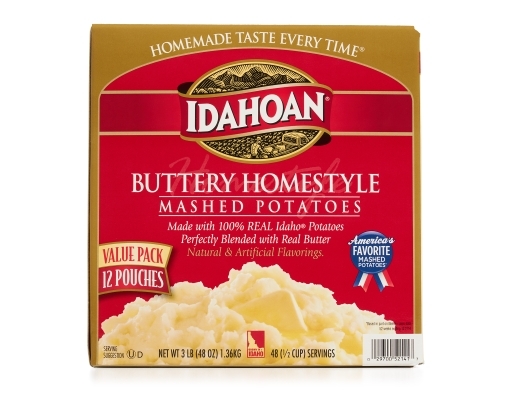 Perfect for a variety of wholesome recipes, Idahoan Buttery Homestyle Mashed Potatoes are easy to prepare and ready in minutes. 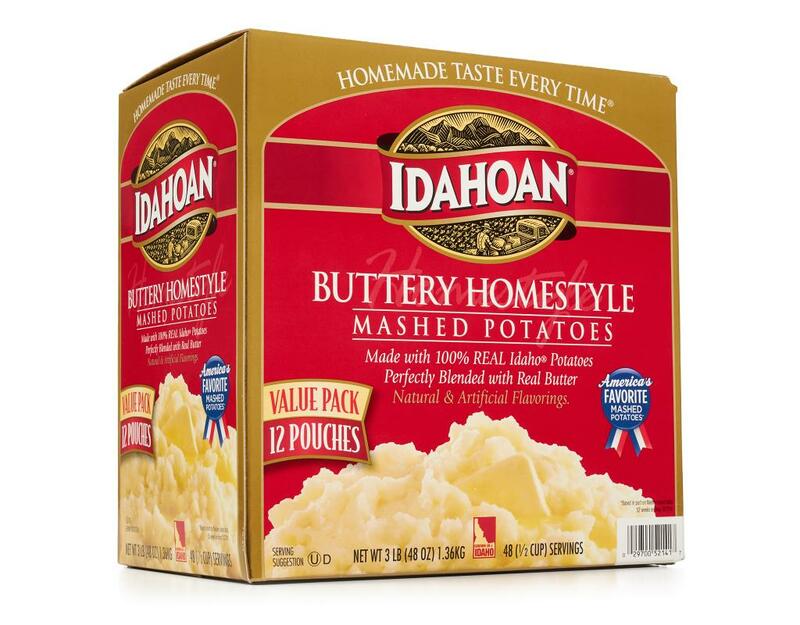 Simply heat water on stovetop or in a microwave, add the entire pouch of mashed potatoes, and voilà! 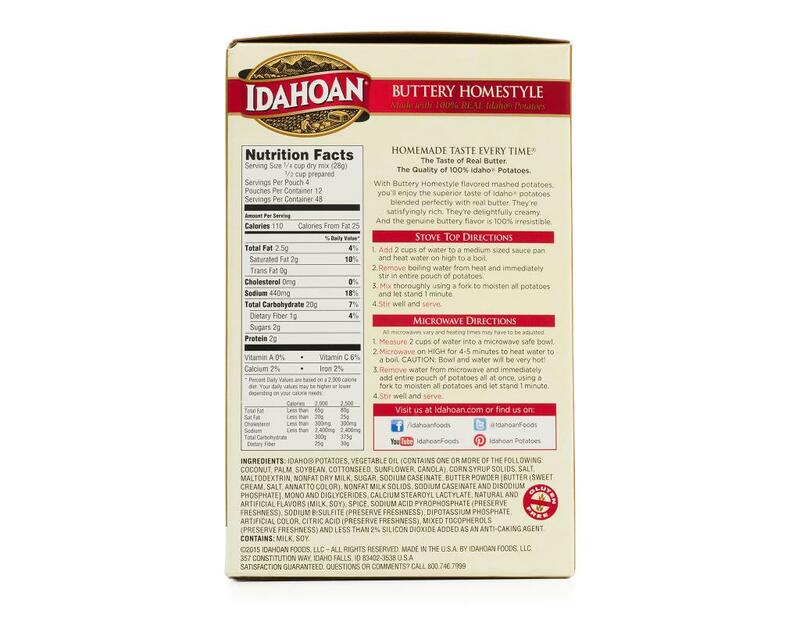 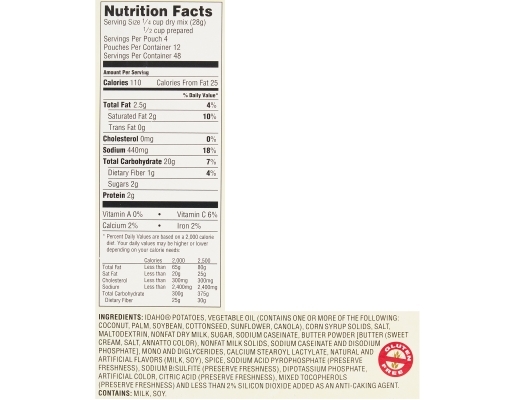 Each order includes 12 (4oz) packets with 4 (1/2 cup) servings.